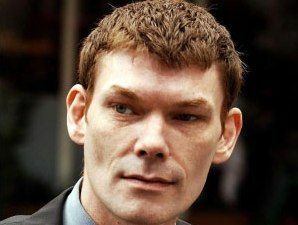 Hacker and Asperger's sufferer Gary McKinnon has lost his final appeal to the UK Government to halt his extradition to face trial in the US. Home Secretary Alan Johnson is coming under fire from civil liberties campaigners following his decision to let the extradition of McKinnon go ahead. For its part the US Government continues to claim that Gary McKinnon is directly responsible for the biggest military computer hack of all time. In a letter today Alan Johnson made it crystal clear "that McKinnon's extradition would not be incompatible with his [human] rights," adding that "his extradition… must proceed forthwith." Lawyers have described the move by the UK Government as "callous" while McKinnon's mother, Janis Sharp, blasted the Government saying they were "terrified of speaking up to America, and now they are allowing vulnerable people to be pursued for non-violent crime when they should be going after terrorists." Mckinnon's lawyer, Karen Todner added: "We genuinely believe Gary's life is at stake here,"
Human Rights lawyer Geoffrey Robertson QC, told the Guardian: "To send a British citizen to the US, without any right to bail, to face 10 years in prison for a crime for which he would be unlikely to receive any custodial sentence if tried here amounts to 'cruel and unusual' punishment' in breach of our 1689 Bill of Rights. "The home secretary should not hide behind the weasel words of the European Convention when he should be following the law laid down by our own historic bill of rights."